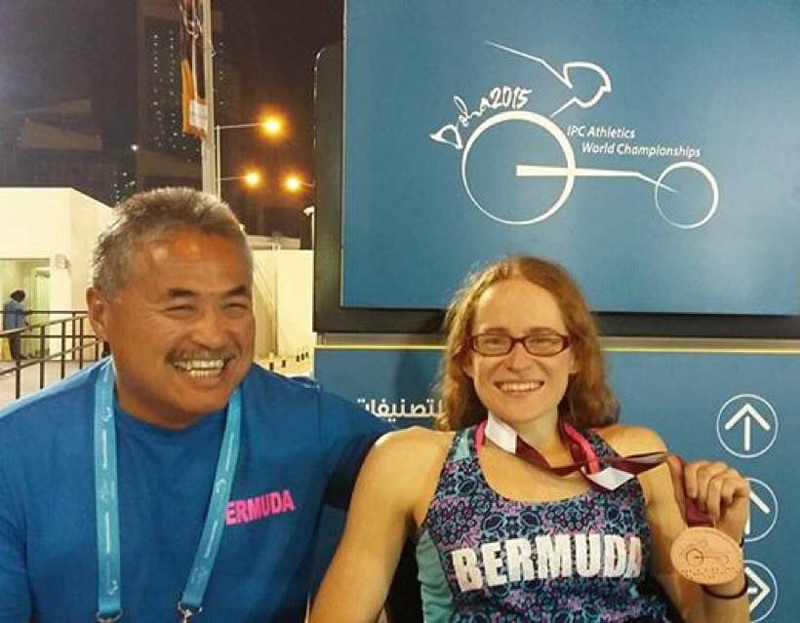 Paralympian Jessica Lewis has paid tribute to her coach, mentor, and friend Ken Thom, who died following a scuba diving accident in South Africa, saying he showed her how to believe in herself and go after her dreams, and she will forever be grateful to him. 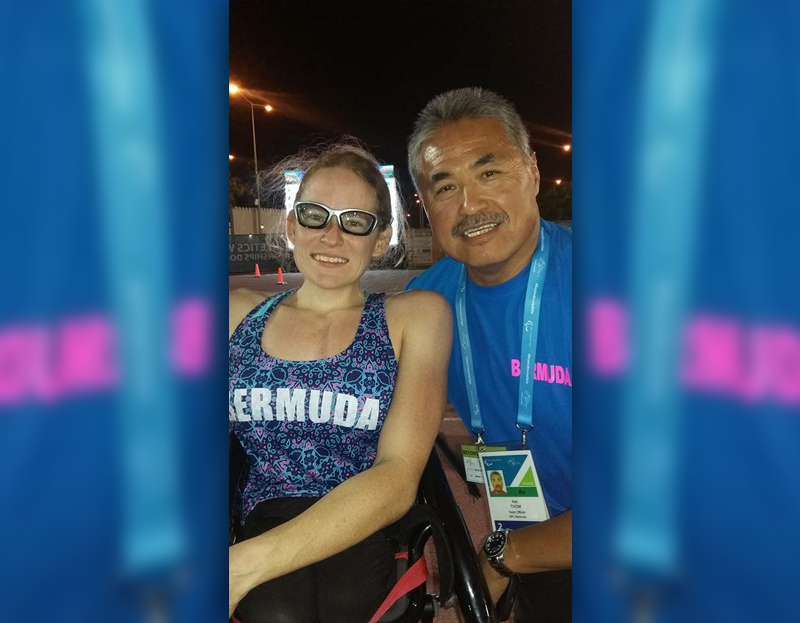 Ms Lewis said, “I met Ken in 2006 when he and his son Curtis came to Bermuda for a sports expo where I first got introduced to the world of Wheelchair Track Racing. “Thinking back on that moment now I could not have even begun to realize how much Ken and his family were going to impact my life and the athlete and person I am today. “Ken was a man so full of life, energy and positivity. Our bond as an athlete and coach was a special one that I will forever be grateful for. He introduced me to a world where with hard work anything is possible. “He showed me how to believe in myself and to have the courage to go after my dreams. He saw the positive side of everything and always found a way for us to see it too, even when we didn’t want to listen. “He was humble and always took the back seat to his athletes successes, which are just as much maybe even more of a success for him. He was a volunteer coach whose passion for life, the sport, and people drove him to never leave anyone behind and to always help someone no matter the circumstances. “I am still in a state of shock and disbelief at this tragic turn of events and just keep thinking of how many aspects of myself, my life and my future have been laid out for me because of this amazing one in a million man. 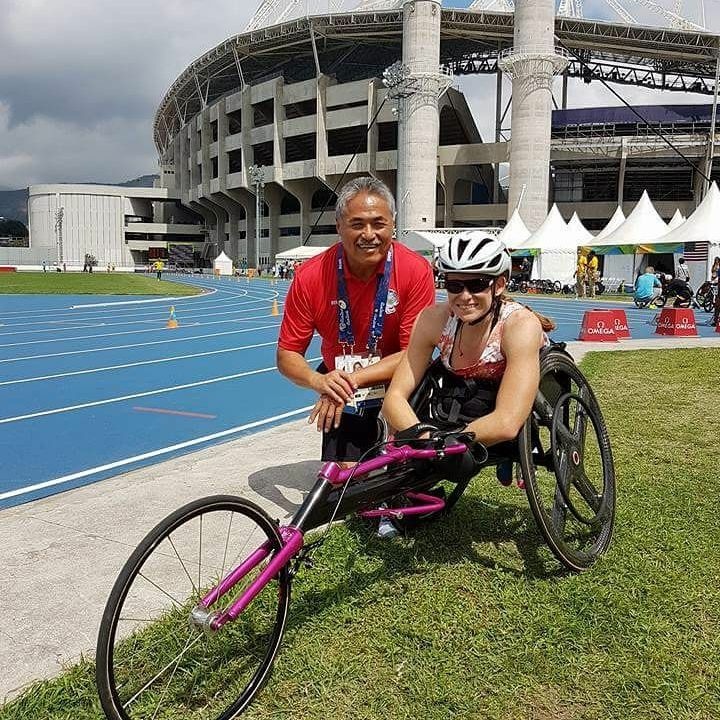 “I am just so lucky I had the honour and privilege of being his athlete and can’t believe I have to continue on this journey without him by my side. He was, and forever will be, my guiding support and I will cherish every moment we got to spend together. “To Ken’s family, who have taken me in like one of their own, thank you for your kindness in sharing such an amazing person with so many others who’s lives have all been made better because of him. “And to you my dear coach thank you for giving me your time, your positivity, your life lessons and your wicked sense of humour. You have left a mark on my heart and my life forever. Until we meet again continue to “Go Fast and Turn Left,” Ms Lewis added.